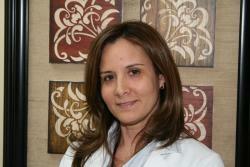 Dr. Toirac attended University of Florida, College of Dentistry, where she received her D.D.S degree. Graduating as the most distinguished Dental Professional and Outstanding Academic Achievement, She reached all the skills and knowledge of the dental profession in the United States. She received her dental degree in Cuba in the Higher Institute of Medical Sciences, Santiago de Cuba in 1989 with Distinguished Accomplishment in Dentistry. Dr. Toirac is a member of numerous professional organizations including Academy of General Dentistry, American Dental Association, Florida Dental Association and South Florida District Dental Association.